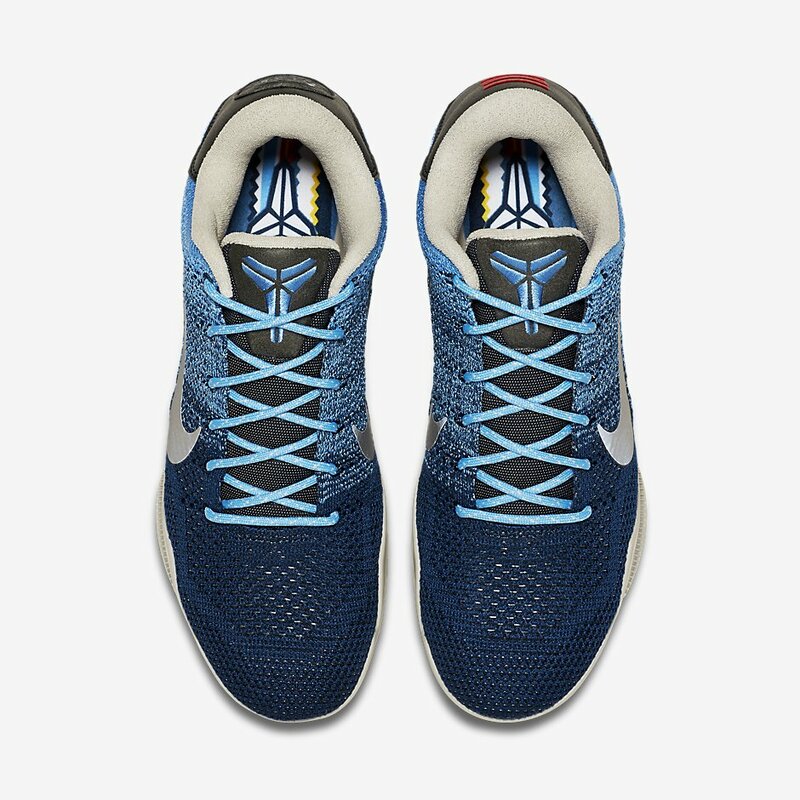 The last game of Kobe this season is fast approaching. 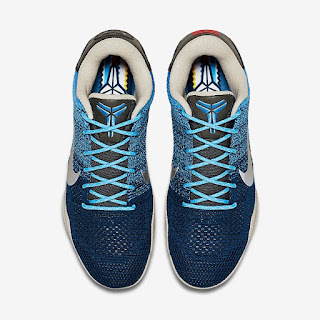 As Nike prepared for his last game, we can be assured that more colorways are set to drop after his final game. 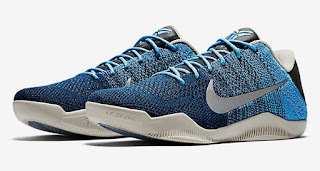 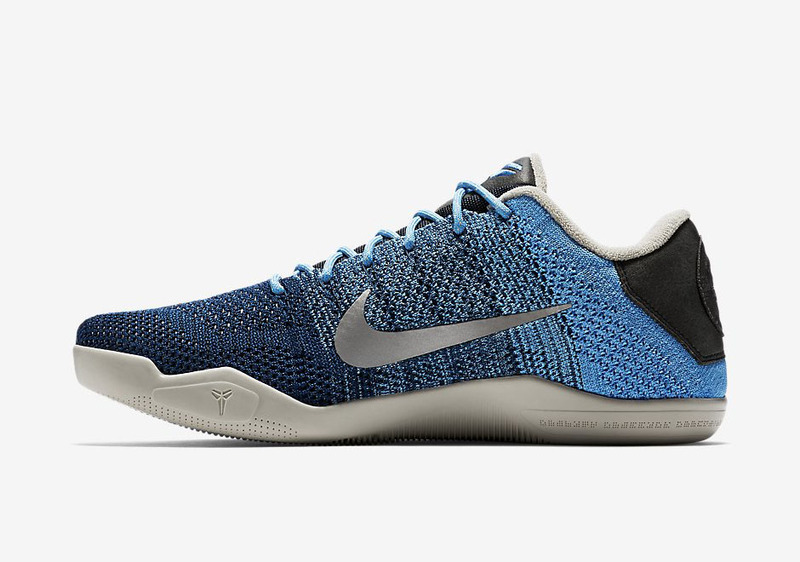 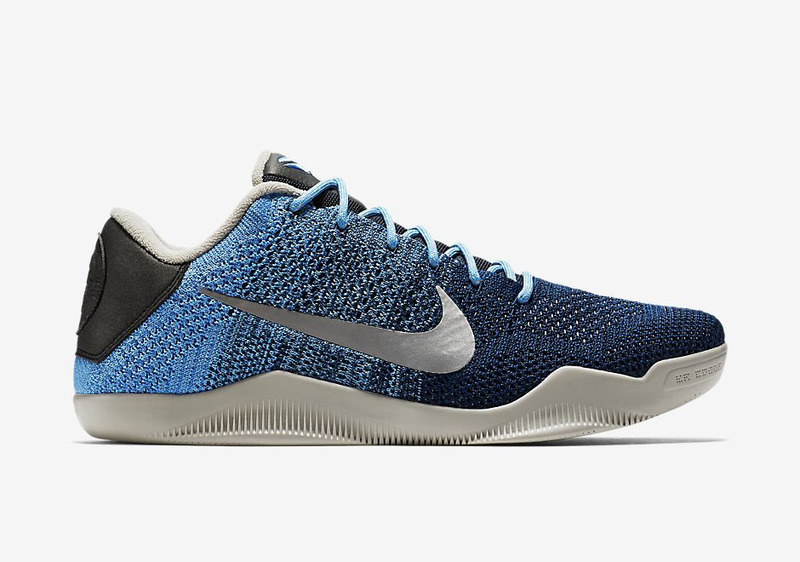 An example of this is the Nike Kobe 11 "Brave Blue". Blue Flyknit upper with dark blue hue in the forefoot transitioning to a lighter shade as it makes its way to the heel. 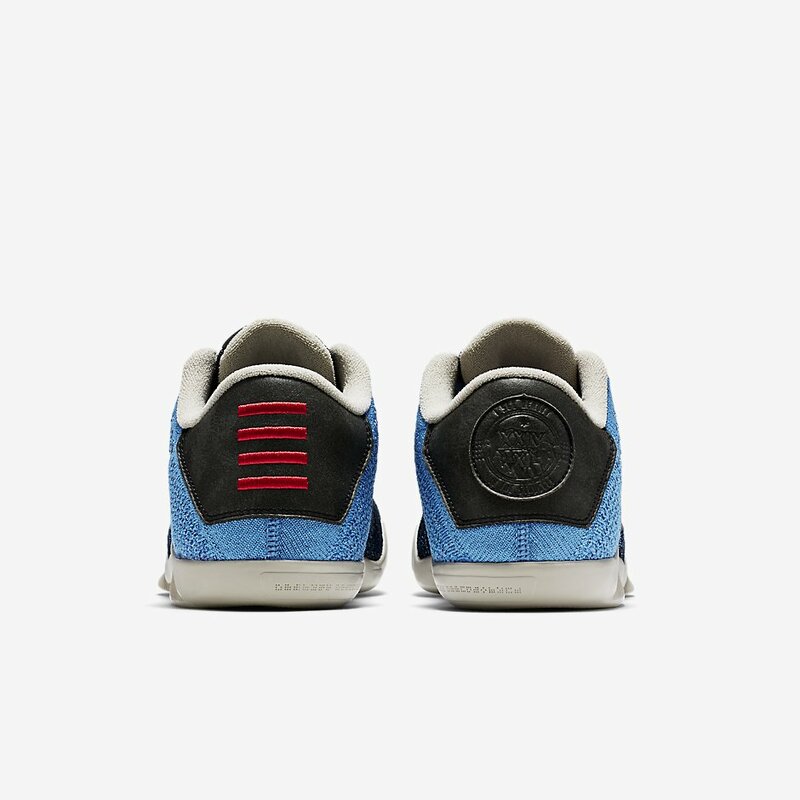 Light blue laces and black heel counter with a logo can be seen on the right heel. Grey midsole with an icy translucent sole can be clearly seen as well. 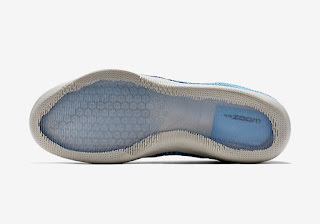 The Nike swoosh branding is made up of a reflective material so expect it to have a certain "flash" given the right situation. This colorway drops on April 14, 2016 for $200.